Dr. William Craig reviews the device's readings with patient Lewis Brooks. When Lewis Brooks serves customers at Lew’s Barber Shop in Carthage, now he can focus on hair and not his heart. Brooks has a device implanted in his chest that tracks heart-failure symptoms and helps keep patients like him out of the hospital. It’s called the CardioMEMS™ HF System. Mercy Hospital Joplin is the first in the area to offer it. The device is a miniature, wireless monitoring sensor. 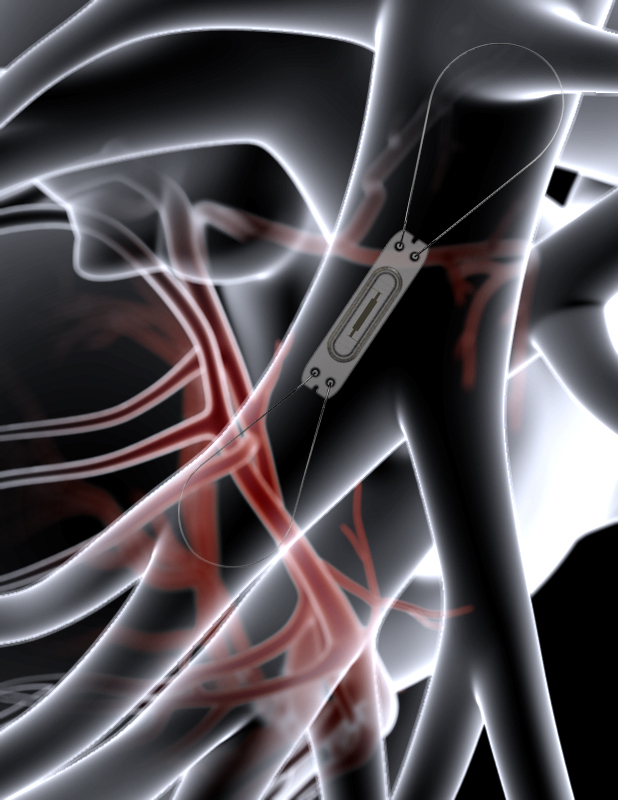 It’s implanted in the pulmonary artery during a minimally invasive, outpatient procedure that takes about 30 minutes. The new system measures pulmonary artery pressure – an early indicator of worsening heart failure – even before a patient notices symptoms such as shortness of breath or weight gain. After just a few days, the device’s readings prompted a change to one of Brooks’ prescriptions. That advance warning is exactly why Craig and his team are so excited about the CardioMEMS device. 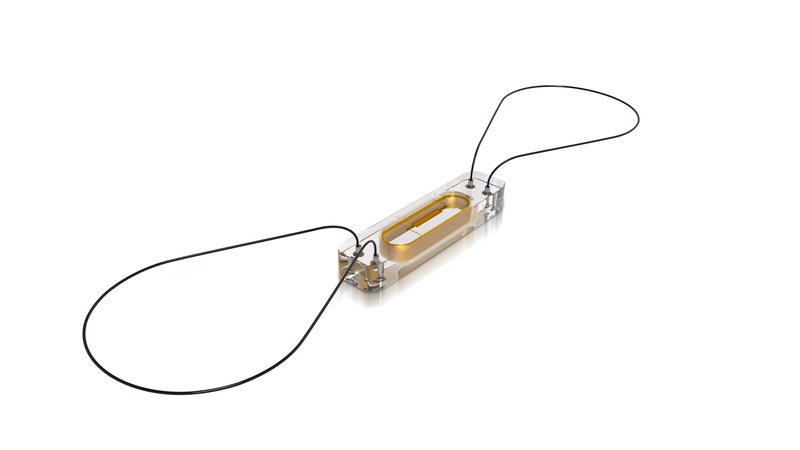 The CardioMEMS sensor is designed to last the lifetime of the patient and doesn’t require batteries. 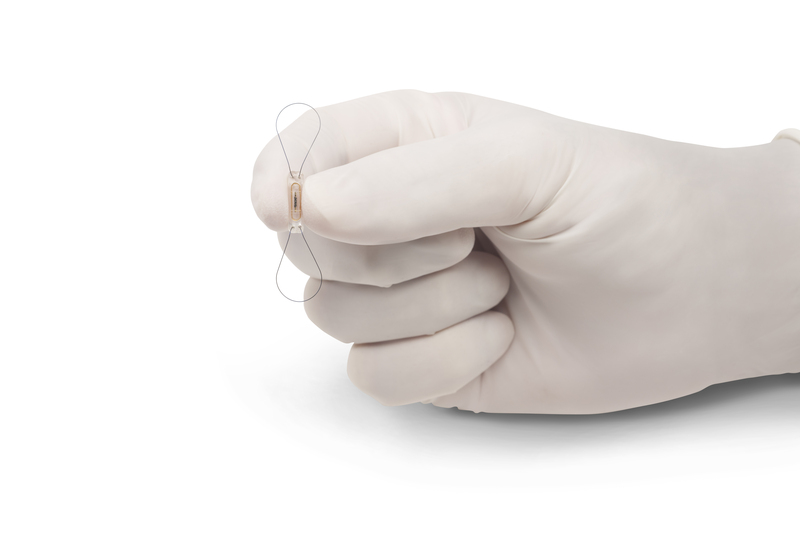 Once implanted, the wireless sensor sends pressure readings to an external patient electronic system. There is no pain or sensation for the patient during the readings. It transmits critical information to a clinician on a regular basis, without the need for additional clinic or hospital visits. This provides clinicians the ability to detect worsening heart failure sooner and adjust treatment to reduce the likelihood the patient will need to be hospitalized. “The ideal patient for this device is someone who has congestive heart failure, has experienced recurring admissions to the hospital and probably has multiple medical problems,” Craig said. and indirect cost of heart failure in the U.S. for 2012 was $31 billion and that number is expected to more than double by 2030. For patients interested in the procedure, talk with your doctor or call the Mercy Heart Failure Clinic at 417-556-6416.